The AMD Radeon HD 6870M or ATI Mobility Radeon HD 6870 is a high-end DirectX 11 capable graphics card for laptops by AMD. 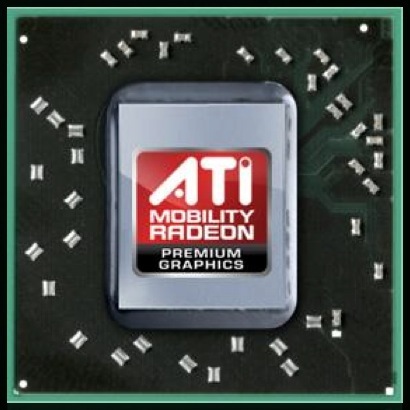 It is essentially an ATI Mobility Radeon HD 5870 with a slightly slower core clock rate. Therefore, performance and features (such as UVD2 and Eyefinity) are similar to the old card. The memory interface of the Mobility 6870 is composed of two 64 bit wide controllers leading to a 128 bit memory bus that can access up to 1024 MB or 512 MB of GDDR5 and GDDR3 memory, respectively. The performance of the 6870M suffers noticeably if (G)DDR3 is used by the laptop vendor. The HD 6870M offers 800 MADD cores (called Stream Processors) which are grouped in 160 5-dimensional groups. The cores support DirectX 11 functions in hardware (Tessellation, OIT, Post-Processing, Shadows, HDR Texture Compression). Furthermore, 16 ROPs, 40TMUs, and 40 TAUs can all be found on the chip. The approximately 1040 Million transistors of the GPU offer a theoretic computational power of up to 1.08 TFLOPS (compared to 1.12 TFLOPS of the 5870M). For general computing, the graphics core can be accessed using ATI stream, OpenCL or DirectCompute 11. The gaming performance of the GPU should be similar to the HD 5870 and therefore sufficient for all current games (2010) in high resolution and high detail settings ( with the exception of Metro 2033 and Crysis). Detailed gaming benchmarks can be found on the HD 5870 page. The Mobility Radeon HD 6800M series includes the old video processor UVD2 to decode HD videos with the graphics card. It supports only VC-1, H.264 and MPEG-2, but not DivX and other variants such as those supported in the new UVD3 in the 6900M series. Beginning with Flash 10.1, the 6800M series has also been able to accelerate Flash HD videos (like YouTube), which ultimately takes workload off of the CPU. As the 5870, the 6870M is able to transmit HD audio formats (like Dolby True HD or DTS HD Master Audio) with up to 8 channels and 192 kHz / 24 Bit over HDMI 1.3a. The 6870M still only supports the original Eyefinity (and not the improved Eyefinity+) to connect up to 6 monitors to the graphics chip. Of course, the ability to connect 6 monitors simultaneously will depend on the laptop vendor and the availability of DisplayPorts. Due to the high power consumption of the Mobility Radeon HD 6870M, it is normally only suited for large laptops with good (and possibly loud) cooling solutions. Compared to desktop graphics cards, the Mobility Radeon HD 6870M should perform somewhere between a Radeon HD 5750 and 5770, at least according to the specs.